Rajanae Davis, a senior at 21st Century Charter School, rallies her school Wednesday during a gathering against violence at Indiana University Northwest. Merrillville High School sophomore and anti-violence activist Aaliyah Stewart talks to region students Wednesday about losing both of her brothers to "senseless acts of violence" during a rally at Indiana University Northwest. Methodist Hospitals' emergency services medical director Dr. Michael McGee began Project Outreach and Prevention on Violence Foundation to combat violence, promote mentoring and education among region youth. Region students join forces on the dance floor during POP -- Project Outreach and Prevention -- on Violence Foundation's SAVE Day rally Wednesday at Indiana University Northwest. Dr. Michael McGee has seen "far too many youth tragedies" at Methodist Hospitals, where he is emergency services medical director. A large percentage of those lives have been lost to gun shots and stab wounds, he said. In 2008, McGee took it upon himself to do something about it. McGee began the Project Outreach and Prevention on Violence Foundation, or POP, aimed at stopping adolescent violence, promoting education, mentoring youth and challenging them to value life. In 2012, he partnered with Methodist's Dr. Reuben Rutland to expand the program to include SAVE, or Students Against Violence Everywhere. 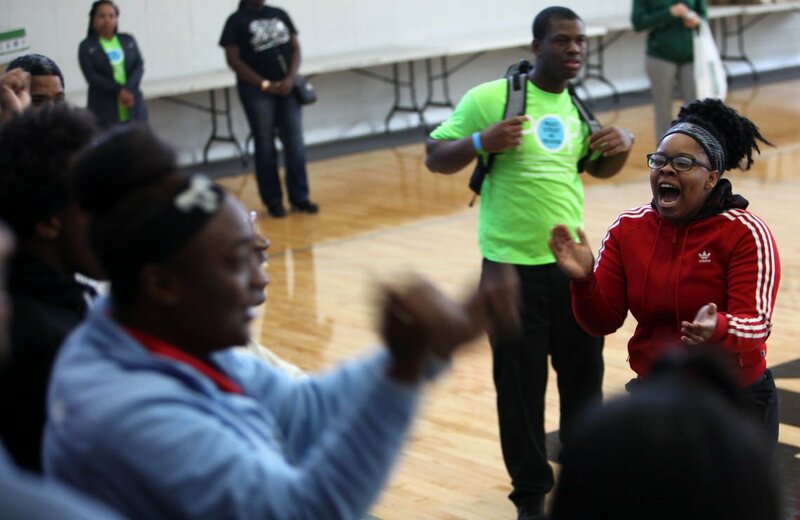 On Wednesday, as part of National SAVE Day, POP hosted region schools in the Indiana University Northwest gymnasium to rally around making good choices and challenged students to "help stop the violence." "I have seen so much tragedy, it's overwhelming," McGee said. "I just can't believe how many kids are full of rage today, and the key to stopping the violence is that it has to be student-led. Kids will listen to a respected peer before they listen to a pastor, a doctor, a parent or teacher, and we need to support them." Among the rally's speakers was 15-year-old Merrillville High School sophomore Aaliyah Stewart, who lost both her brothers to "senseless acts of violence." Stewart created the ASW (Anthony S. White) Foundation, named after the first brother she lost in 2007. 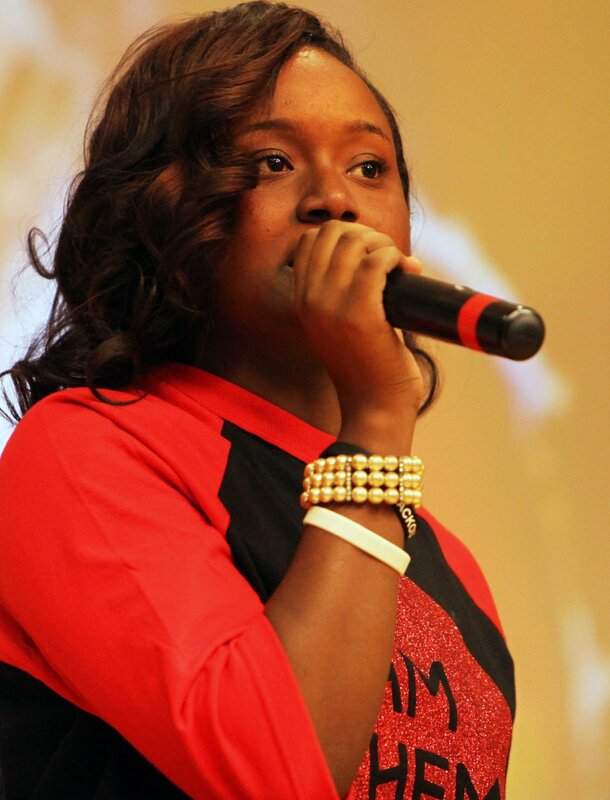 ASW awards scholarships and raises awareness about gun violence through her #IAmThem social media campaign. "I want everybody to take something from my message, because we all hear, 'because you are from Gary, you are not gonna make it,'" Stewart said. "My brother went to a football game and never came back. I saw what it did to my mother, and the pain she went through just broke our hearts." Stewart told the audience of her thoughts of suicide she slipped into after she lost her second brother, 20-year-old James Anderson, last year. Her faith and family support helped bring her sanity back, she said. Despite the serious messages, the rally was also a celebration of youth and their responsibility to promote positive behavior. Gary RailCats' mascot Rusty visited, and disc jockey, Hot Rod, provided music. The rally turned into a dance fest as students on-stage showcased their moves to some of their favorite hits. "This is a lot of fun, but it's really about the importance of stopping the violence," said Rajanae Davis, 21st Century Charter senior. "We need to better the community. A lot of people are losing people close to them, and we need to come together to put a stop to it all." Among the high schools at the rally were 21st Century Charter, Andrean, Merrillville, New Tech Innovative Institute, Thea Bowman, Gary Roosevelt, Gary Lighthouse Charter, Calumet New Tech and Hobart. The goal of SAVE is to develop chapters, operated by students, to spread the power of nonviolence with a focus on prevention and awareness in schools. Also at the rally, Gary's New Tech Innovative Institute's anti-bullying video was awarded $500 so students could create a SAVE chapter and plan activities. The shooting deaths of her two brothers spurred Aaliyah Stewart to provide Northwest Indiana kids avenues for learning and playing.